Please note that the HOP ON HOP OFF ticket is valid for 48 hours from validation. The voucher is valid for 1 year from the date of purchase. 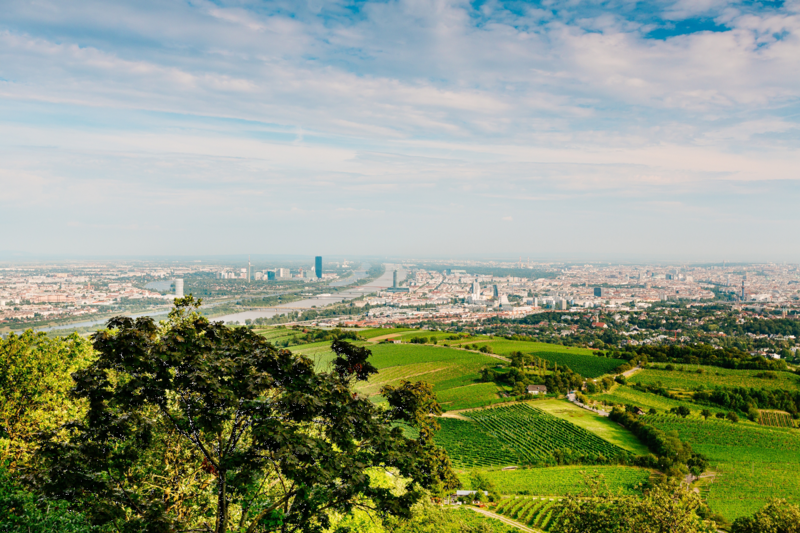 Discover Vienna’s many sides with the Royal Ticket. 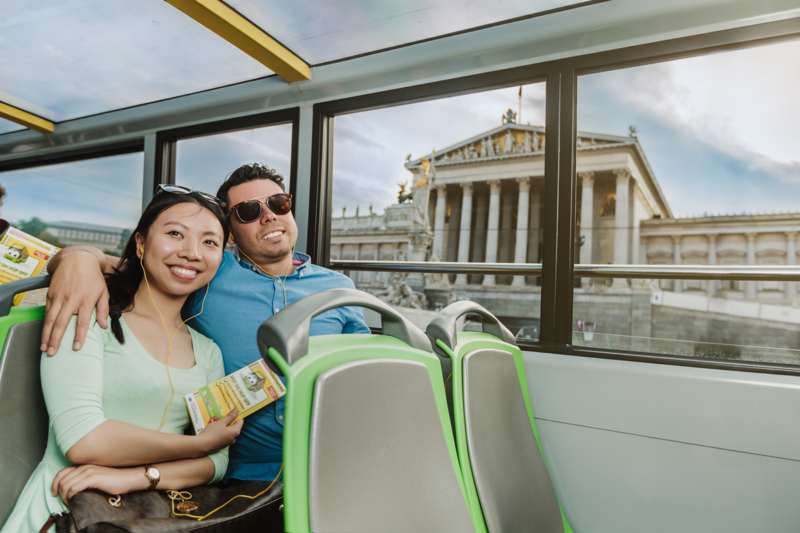 Choose from several routes and customize your own sightseeing programme. 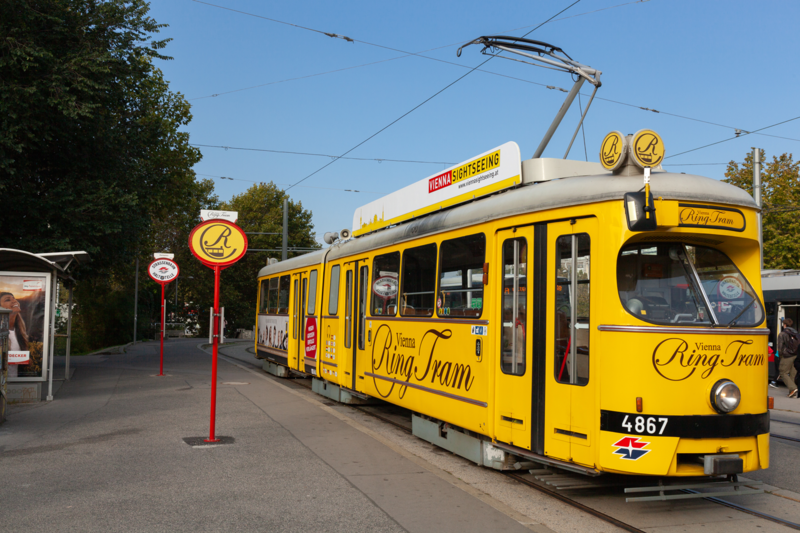 Discover famous Ringstraße boulevard on the RED LINE, take the YELLOW LINE to Schönbrunn, ride comfortably to Prater on the BLUE LINE, or take the GREEN LINE up Kahlenberg. 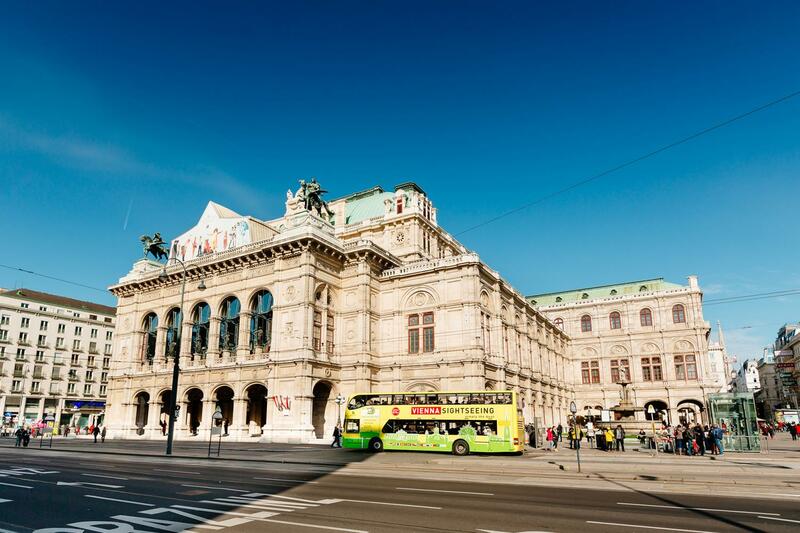 You can start your sightseeing tour at the HOP ON HOP OFF stop of your choice – the suggested STARTING POINT “Vienna State Opera” is just one of many possibilities. 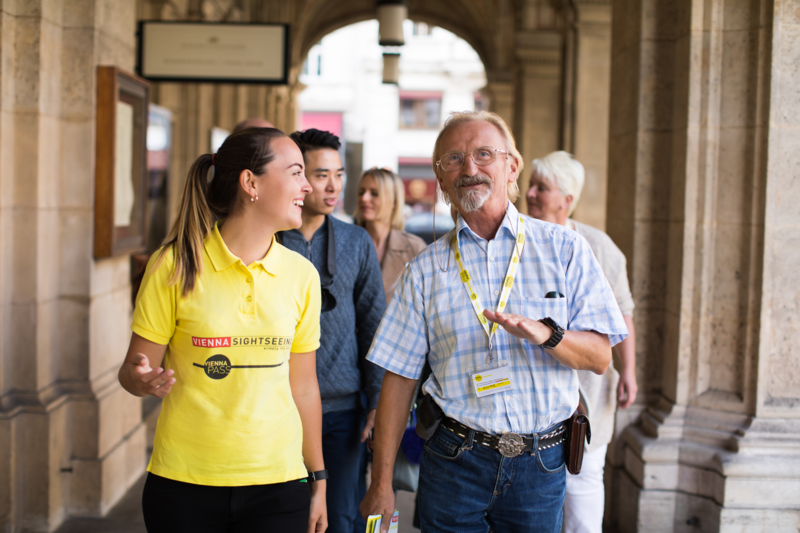 With each HOP ON HOP OFF bus tour, we offer a free guided city walk through the city centre. 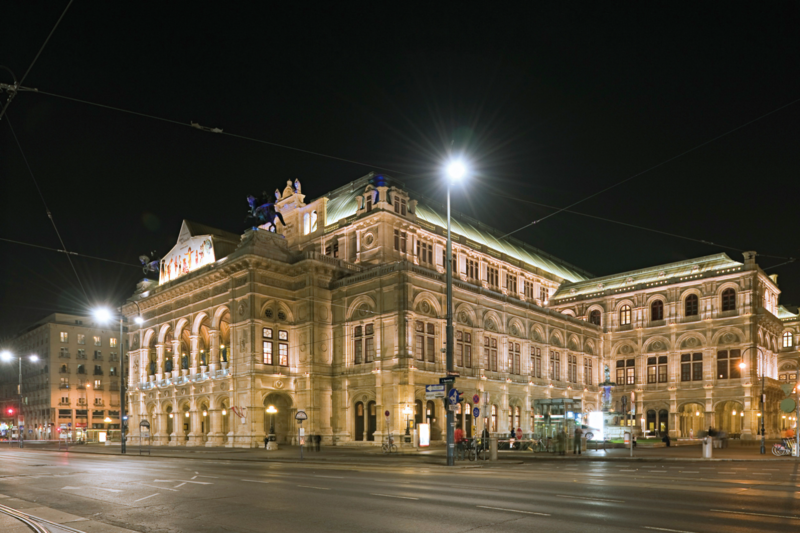 Tours leave from Vienna State Opera. 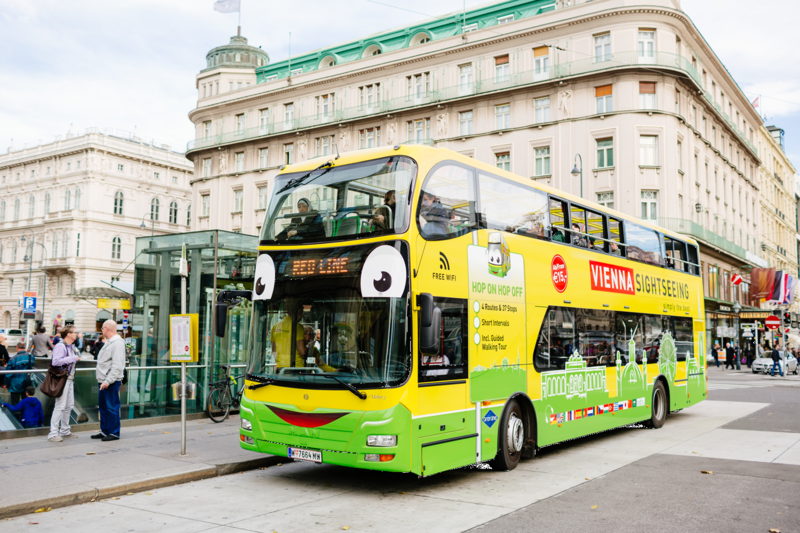 This 48-hour HOP ON HOP OFF ticket includes a ride around Ringstraße with the yellow Vienna Ring Tram or a Night Tour. You choose how you want to discover the city. What are you waiting for?